Captain Samuel Watts was one of the most wealthy people in the country in 1840. While ship building made him rich, his early investments in railroads made him extremely wealthy. In 1842 he owned a lovely house at 39 Knox Street but his ever increasing financial gains eventually caused him to want to build an even larger house, one that better fit his wealthy status. To accomplish this, he purchased the lots adjoining his home and moved the two houses on them to other lots. He then built his magnificent mansion at 35 Knox Street in 1873. 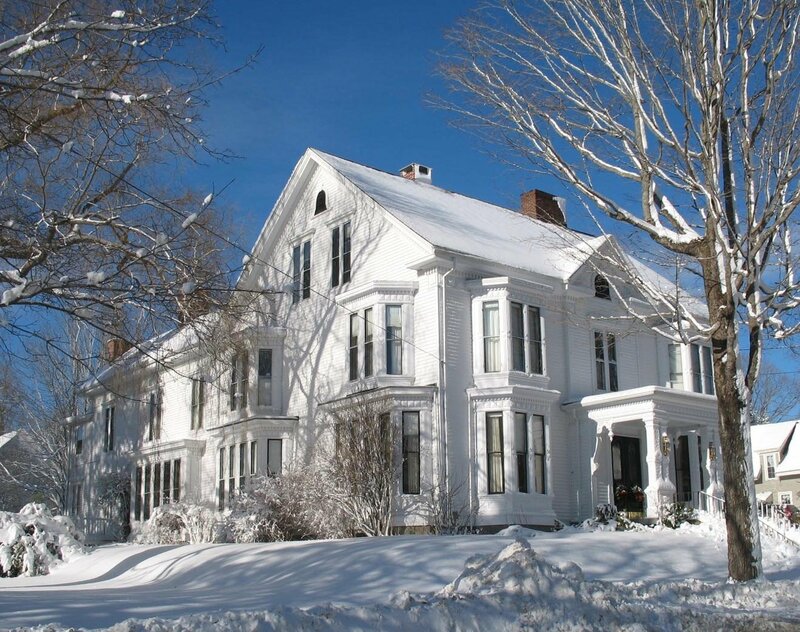 The home is probably the largest in Thomaston with approximately 8,000 square feet of living space on three floors. Because the home's proportions are in proper scale, you do not immediately realize that a new house of about 2,400 square feet would fit nicely into the living and dining rooms alone. The high ceilings, huge windows and extremely wide hallways are in keeping with the homes style and eventually one realizes that there are multiple bay windows in a room that, in any other house, might have only one smaller set of windows instead. Special features include parquet floors in the second floor halls, beautiful huge round topped windows at the staircase landing and exquisite archways leading to the bedrooms. Samuel Watts lived in the house until his death in 1900 at age 87. His older daughter, Mary Jane, inherited the house on her father's death and she remained in it until her demise in 1939. 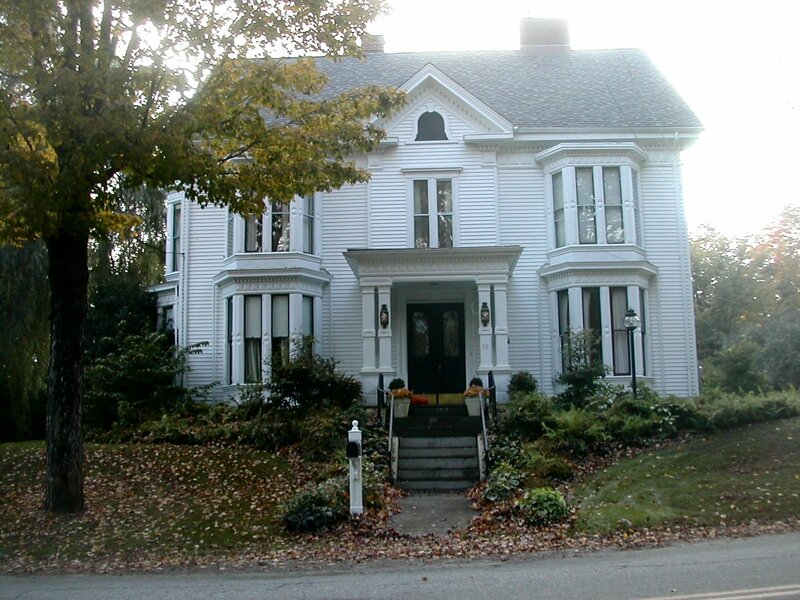 Mary Jane never married but her heirs (the family of her younger sister Emma) offered the house to the Town of Thomaston and in 1942 it was purchased by J. Russell Davis who established a funeral home at the residence. It remained a funeral home until 2005 when it was finally returned to its original purpose as a private residence. 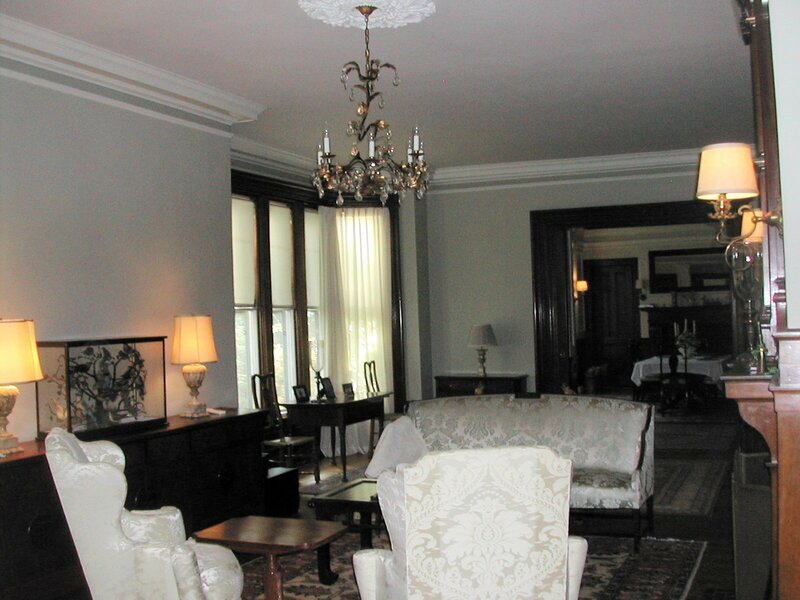 To the left, a view of part of the living room looking towards the dining room. 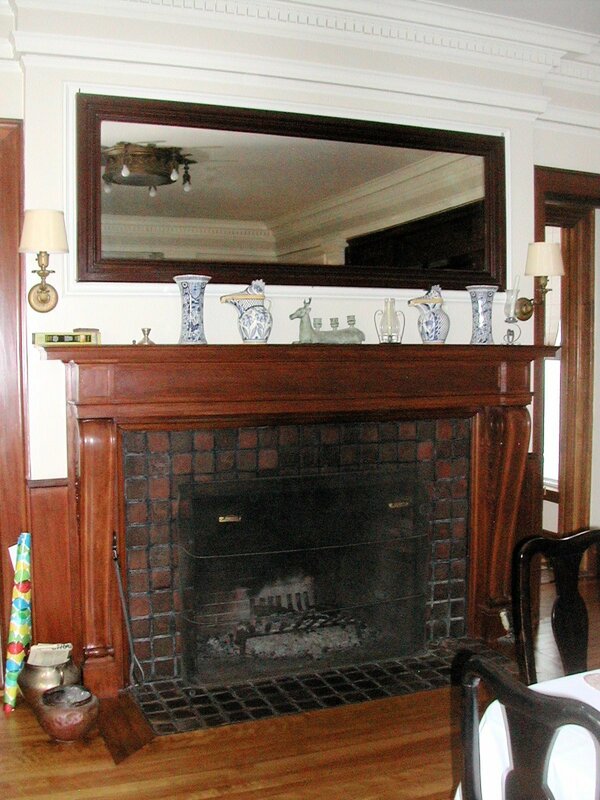 Out of view is a matching set of bay windows to the left of the photograph. 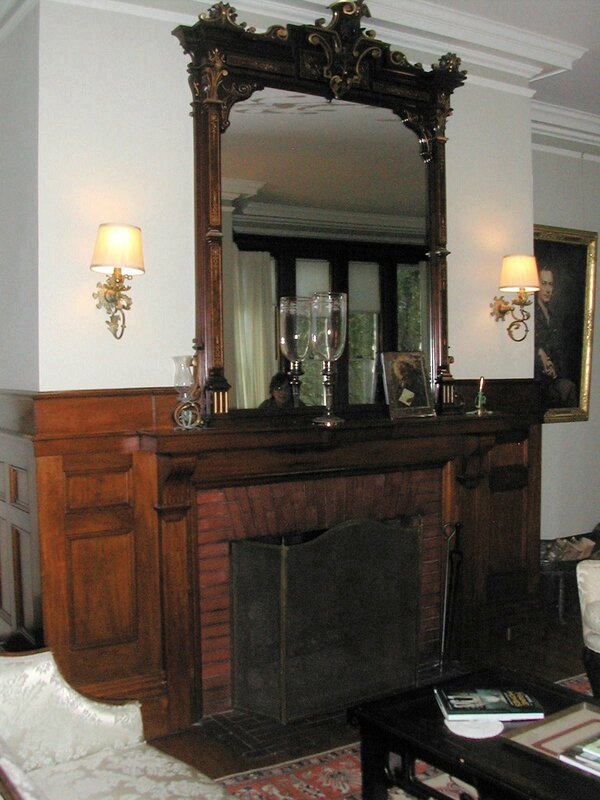 On the right, a fireplace in the living room that has a cabinet on its side for keeping brandy warm. 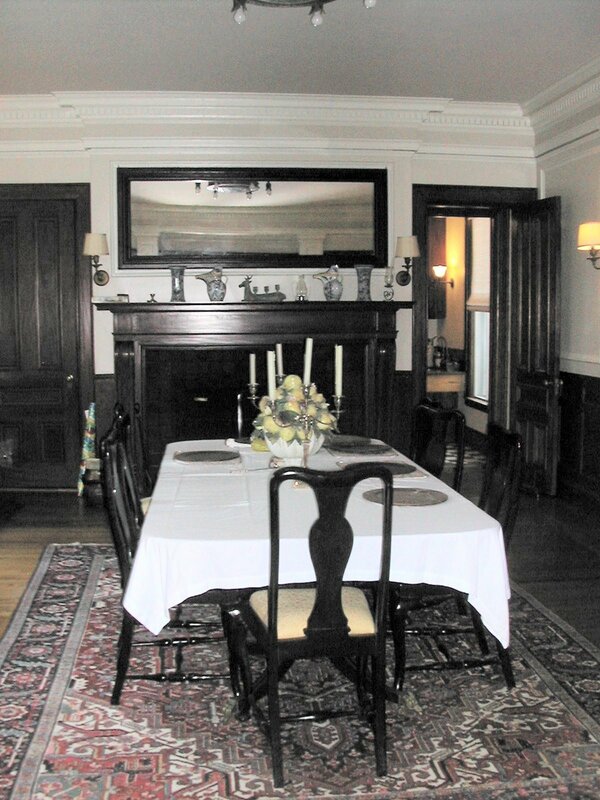 Three views of the dining room. 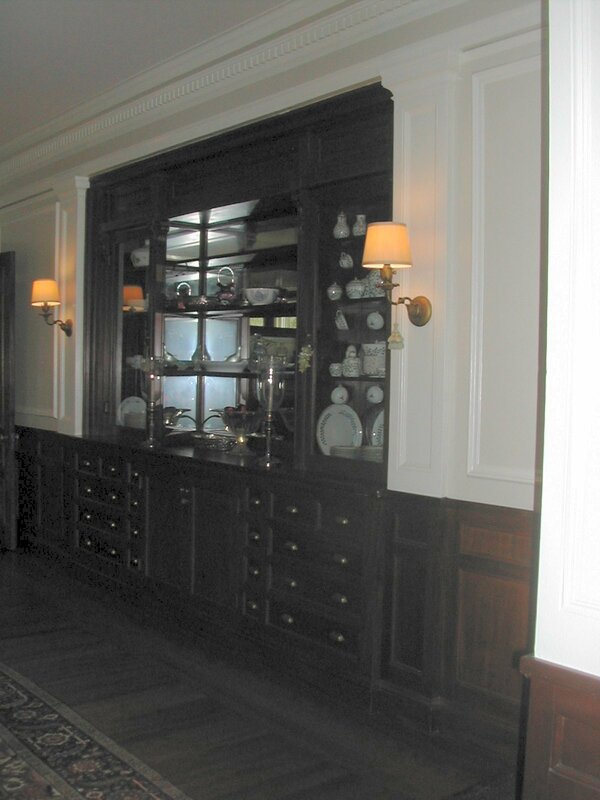 The picture to the right shows a huge built-in glass fronted dish cabinet with many drawers and storage spaces below. 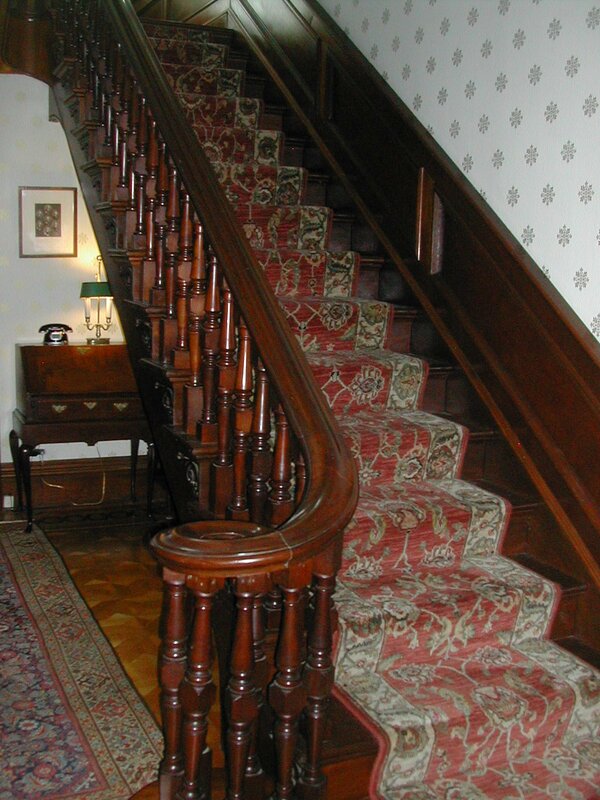 Left, the beautifully carved staircase. 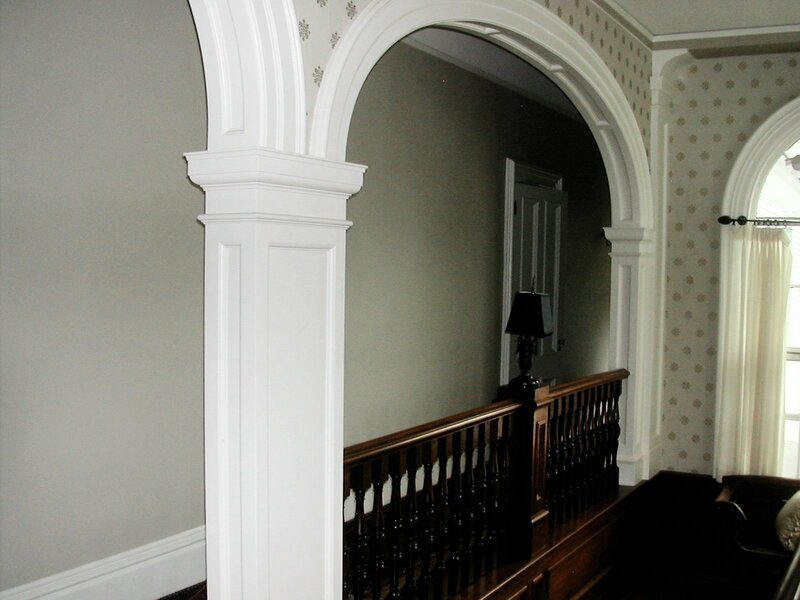 To the right, second floor archways and a small peak of one of two windows on the staircase landing. The impressive front entrance. Notice the height of the windows.